Western blot analysis of extracts from HepG2, RD and A204 cells using eIF4GI Antibody. 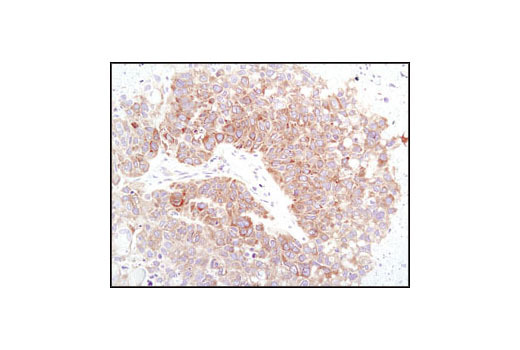 Immunohistochemical analysis of paraffin-embedded human breast carcinoma using eIF4GI Antibody. 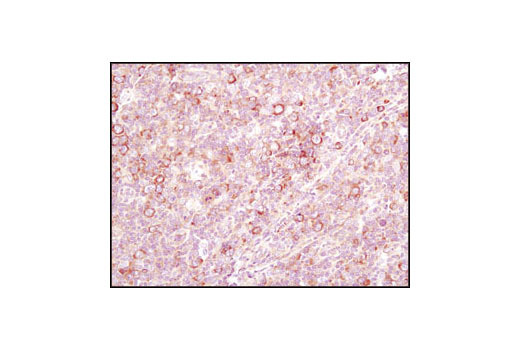 Immunohistochemical analysis of paraffin-embedded human lung carcinoma using eIF4GI Antibody. Immunohistochemical analysis of paraffin-embedded human lymphoma using eIF4GI Antibody. 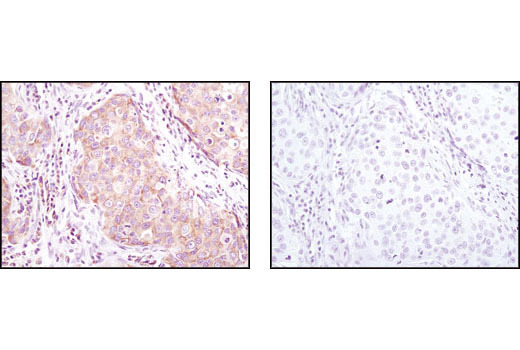 Immunohistochemical analysis of paraffin-embedded human breast carcinoma using eIF4GI Antibody in the presence of control peptide (left) or antigen-specific peptide (right). 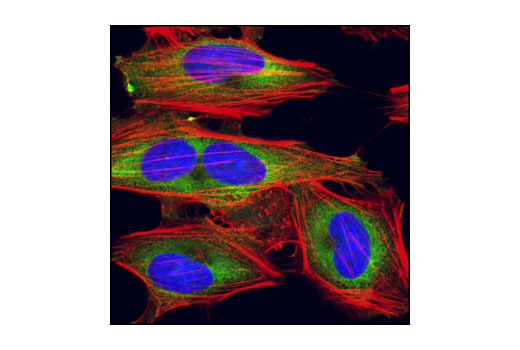 Confocal immunofluorescent analysis of HeLa cells using eIF4GI Antibody (green). Actin filaments have been labeled with DY-554 phalloidin (red). Blue pseudocolor = DRAQ5® #4084 (fluorescent DNA dye). 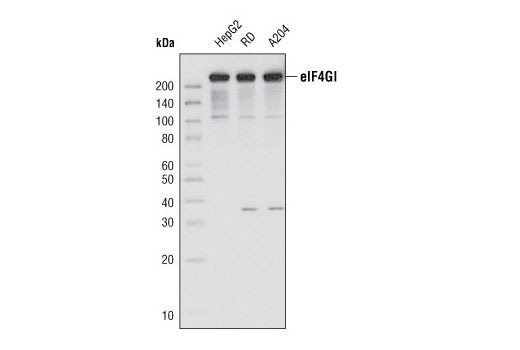 eIF4GI Antibody detects endogenous levels of total eIF4GI protein. Polyclonal antibodies are produced by immunizing animals with a synthetic peptide corresponding to the sequence of human eIF4GI. Antibodies are purified by peptide affinity chromatography.